Edwin Garro is an ASQ Fellow and founding member of ASQ Section 6000, Costa Rica. He pioneered ASQ certifications in Central America. Currently he serves in ASQ’s awards board. He is an ASQ CQE, CQM/OE, CQI, CQA, CSSGB and CSSBB. 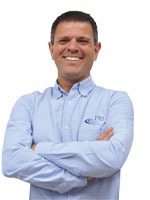 He is the CEO of PXS, a leading consulting firm with offices in Costa Rica and Colombia. He has a B.Sc. in Industrial Engineering from the Costa Rica Institute of Technology, and a M.S. in Manufacturing Engineering from the University of Massachusetts, Lowell. In August of this year, I visited a junior high school class at the San Rafael de Poás Technical High School, in the mountains of Alajuela, Costa Rica. This is not a typical junior class; these 15- and 16- year olds will graduate in 2017 with a technical degree in Quality and Productivity. It was not my first visit to the class. Ever since I discovered this new Quality and Productivity program, I have been fascinated by it. These remarkable teens will certainly play a role in the future of our profession. As a whole, the cluster of medical devices companies is the largest exporter in Costa Rica. All the big names are here, Baxter, Boston Scientific, Abbott, Hospira, Hologic, Moog, just to name a few. 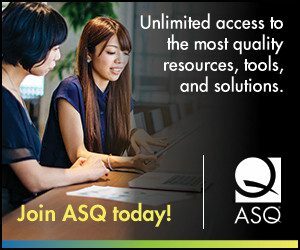 Over the years, many Costa Rican professionals have specialized in “all things FDA,” and being ASQ certified is a formal requirement in many of these firms. One area in which there is still a shortage of manpower is quality technicians. The Costa Rican Investment Promotion Agency (CINDE) took the concerns of the customer (general managers of the medical devices cluster) and worked with the National Education Ministry (MEP, Ministerio de Educación Pública in Spanish) to create this very innovative program. Instead of reinforcing the existing associate degrees, they decided to create a high school technical degree in Quality and Productivity. Over a three-year period, students will receive 2,880 hours of education in management fundamentals, process improvement, quality control, quality enterprises and English. 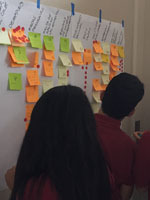 Five technical high schools started the pilot deployment last year; Colegio Técnico de Poás started this academic year. Seven more schools will start in the next two years. 1. Prepare technicians in accordance with the demands of current and future markets. 2. Promote the values and attitudes of quality. 3. Encourage the development of creative and critical thinking structures, which will allow students to deal with the continuous changes in social and economic systems. 4. Stimulate a quality and productivity mindset. 5. Promote quality through Statistical Process Control, local and international standards, the study of waste and the effective use of raw materials, seeking sustainable development with the environment. Even though there are no graduates yet, companies are already lined up to receive these students for their technical practice (the last three months of their senior year). I myself am the product of a technical high school, having studied graphics arts and printing at Don Bosco Technical High School in the early 1980s. I know the impact of this kind of education. My printing background led me my first general manager position, and for the last 16 years, I have owned a successful lithography business. Every time I arrive at the school, I tell the students and their teacher, Yesenia Alvarado, an industrial engineer by profession and high school teacher by vocation, how much I admire them. They are part of the first truly global generation. When they enter the job market, their quality knowledge will be a great advantage, even if, as many of them have told me, they go on to college and study something completely different. During my August visit, I honored a promise I had made last time I came to the school. I told them I would bring all kinds of souvenirs from WQCI in Tennessee. They took my “loot” coming from the booths at exhibit hall, everything from pens to USB memories. Second I gave them a quick lecture on the future of quality, which is kind of a paradox because they are the future of quality. Third, and here comes the important part, I made an exercise with them. I asked them about their worries, about how they see the future. We made an affinity diagram exercise (see picture left) and after that a multi-voting session. These teenagers, many of them the sons and daughters of coffee production families, are already thinking about their future jobs and their opportunities in life. At age 15, they are more worried about the global job market than about prom night or first dates. To encourage them, I told them that it is precisely their quality education and near future technical degree that will guarantee their full employment and market rate salaries, plus I urged them to pursue full college degrees. It was uplifting to see the students demanding better English classes because they know the current four hours per week is not enough to master a second language. I don’t know what the future will be for these teens, but I do know that their odds are better with such a good education this early in life. 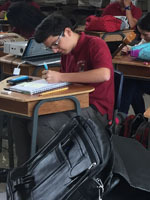 The Costa Rican quality and productivity teenagers give hope to our profession. I view their generation with a lot of optimism and I would be interested to know if there are similar project in other countries. Next Next post: September Roundup – Does Mission Matter?